Over the next few weeks pupils can bring in some money to support our Poppy Appeal. 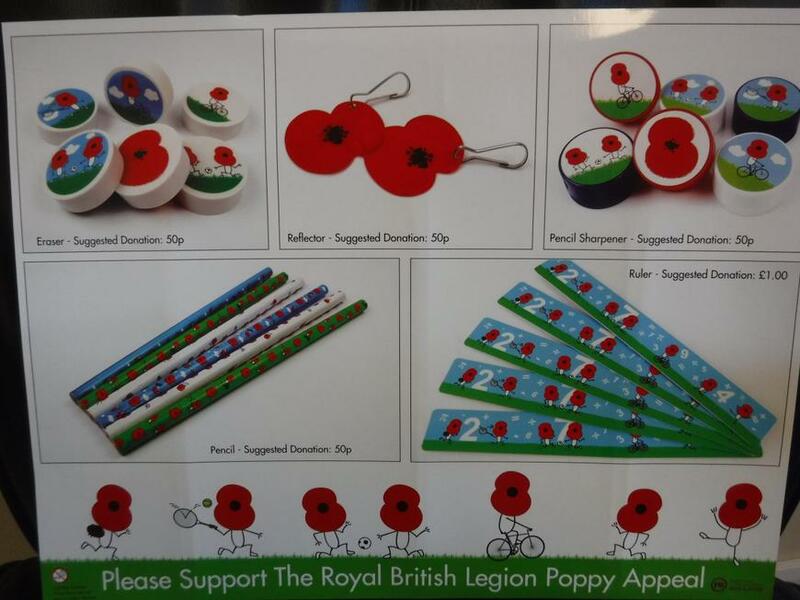 An ordinary Poppy can be purchased (suggested donation 50p) or alternatively a box of Poppy related items will be circulated round the classes with Poppy themed rulers and pencils etc. See image for more details. Please note that all pupils will have an opportunity to purchase an item however they are limited in number.